This dynamic new learning environment encourages early language and literacy skill development through storytelling and physical play. The exhibition features four immersive sets that invite children to create and act out original stories by climbing, creeping and sliding through various scenes, using the silly props, and dressing in costume. In “Long, Long Ago,” our very own Hyde Park Mastodon invites children to travel back in time as they create a story of adventure! 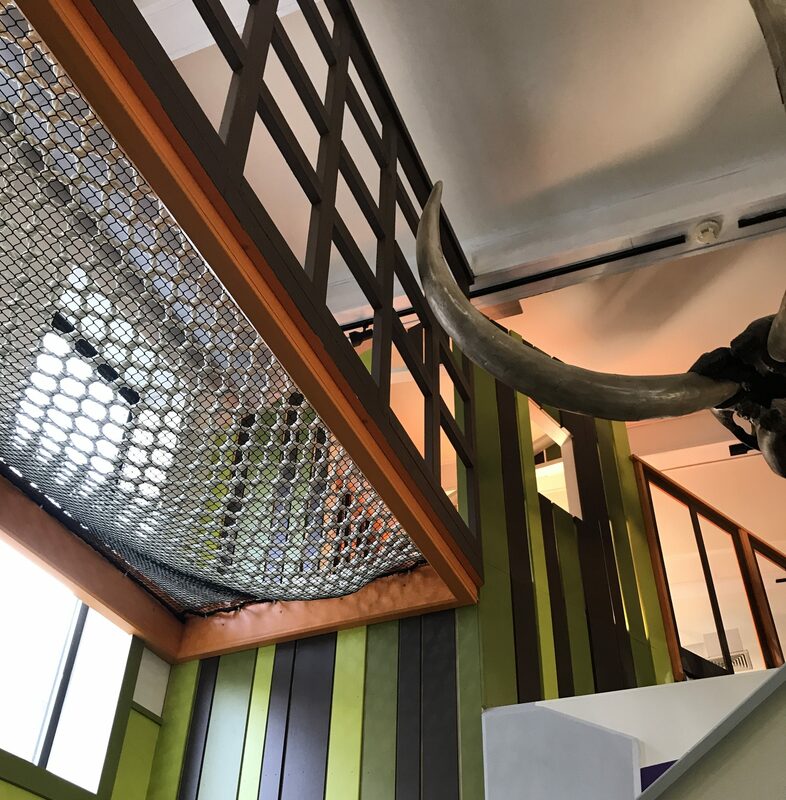 Children will navigate a child-friendly climbing wall, tip toe through cat-walks, scoot down a slide and hang out in a cargo net hammock suspended over the Museum’s main stairway. 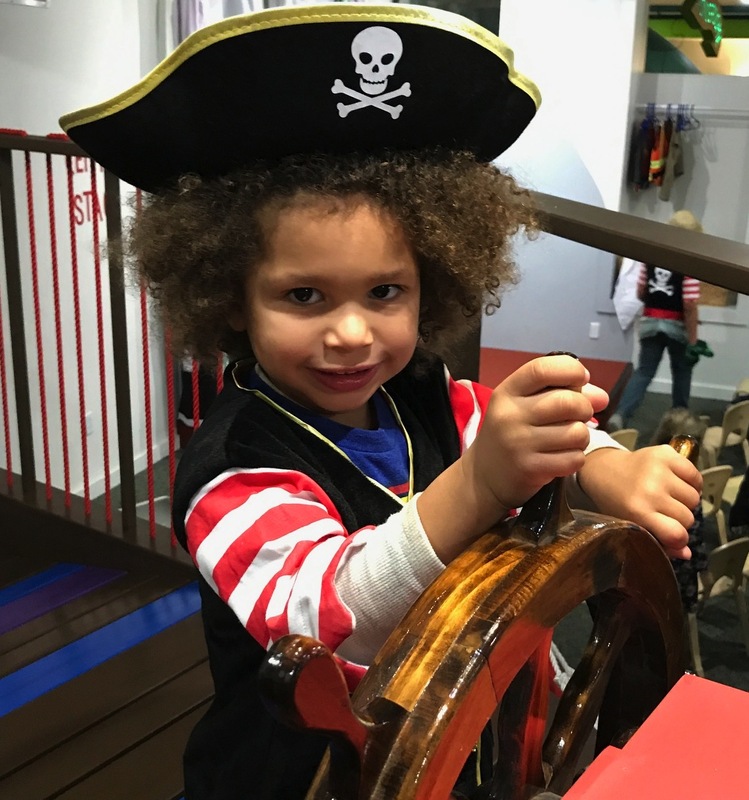 Voyage on “The High Seas” aboard this friendly pirate ship! This climbing structure features cargo nets, a slide, a scarf cannon, a main sail to hoist and lower, and hidden treasures below deck to encourage swashbuckling tales of adventure. 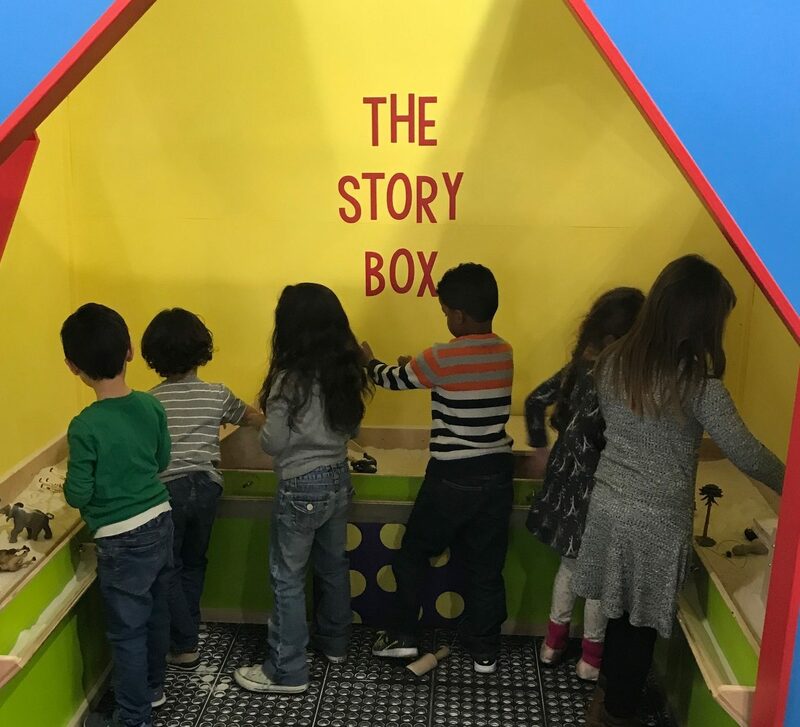 In this exhibit, families are also introduced to our very own “Tell Me a Story” character named “Thing” as they create a pictographic stories using customized storyboard panels. Be a storybook author! “Storybox” is the world’s first storybook-making sandbox. Families are invited to create silly “stop motion” stories using animal characters in scenes they create in the sand. Using photos taken from their smartphones, families can submit stories and captions to storybox@mhcm.org. 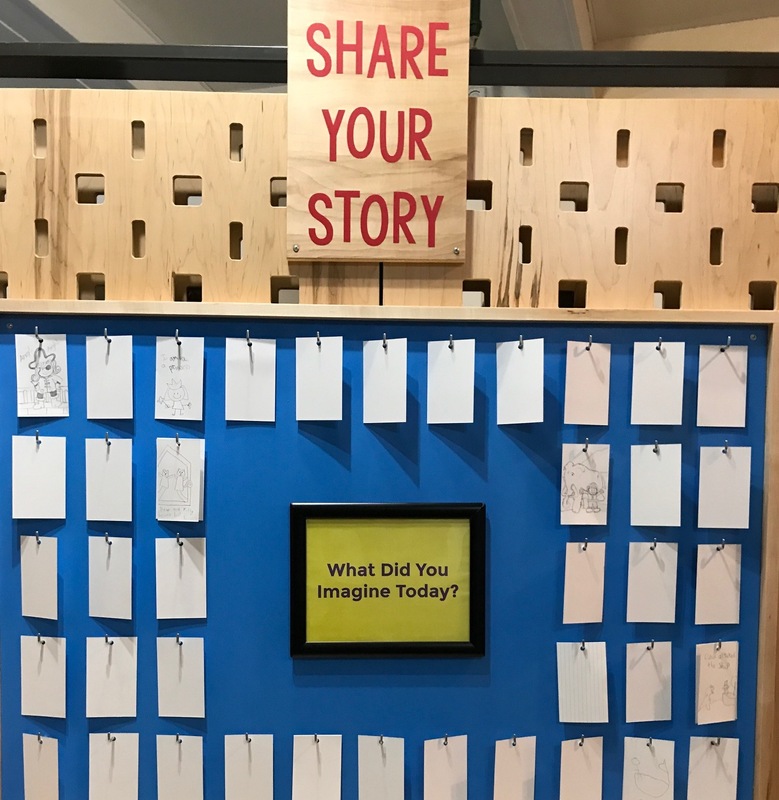 We will then publish and display guest-generated stories in this exhibit! “Center Stage” invites children to practice language and storytelling skills by creating and performing in their own theatrical presentations. 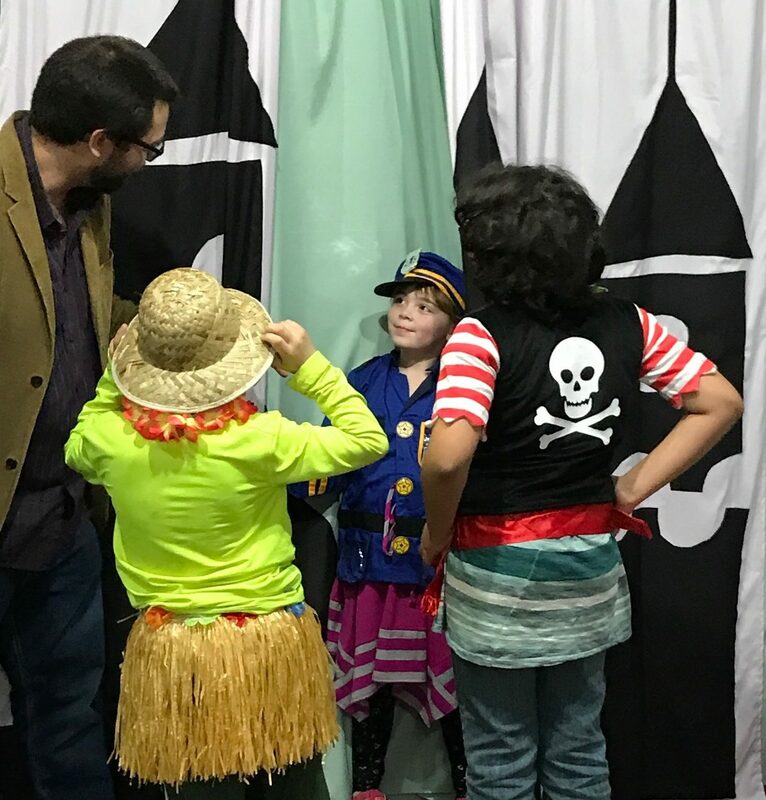 Parents and Caregivers serve the important role of “Stage Managers” by helping children prepare for their performances by selecting the appropriate themed backdrop, talking through the story and assisting with costumes. Facial expressions communicate emotions and feelings with amazing accuracy. 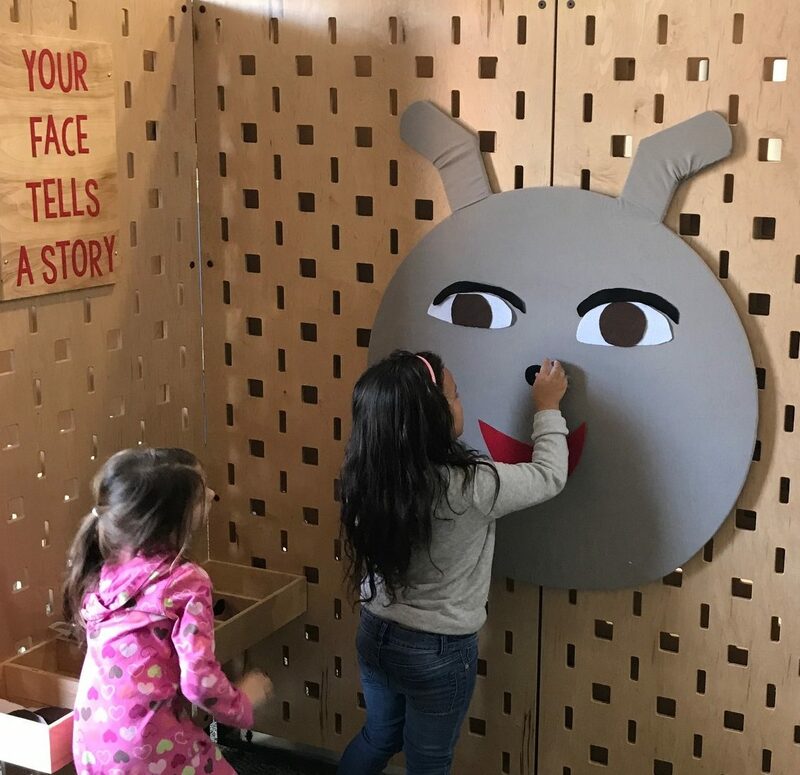 This exhibit invites families to explore emotions with “Thing” – our very own “Tell Me a Story” character. Are you happy? Are you mad? Do you feel silly? Put your emotions onto “Thing” and see if it changes how you feel. What did you imagine today? We want to know! Families are invited to record and share their “Tell Me a Story” adventures for all to see. “Tell Me a Story” was created and developed by the Mid-Hudson Children’s Museum. Major funding was provided by the Charlotte Cunneen-Hackett Charitable Trust, the H. W. Wilson Foundation, the gifts made to the Mid-Hudson Children’s Museum’s Annual Fund. Would you like to support new exhibit development at MHCM? We invite you to make a gift today!